~So you’ve got your bachelor’s degree sorted, dealt with, complete. Perhaps though you’re looking to advance your career prospects with a higher level course which may help your employment potential in the future. Post graduate courses are running up and down the country. They are designed for those that have completed a bachelor’s degree but it is not always necessary that you do. On average 540,000 students are enrolled on post graduate programmes in the UK. In the North West there is an advice event that will help academics to channel their long term career goals. 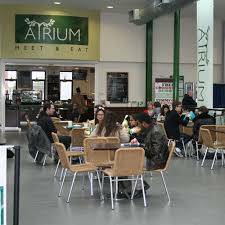 On Wednesday September 5th between 4-7pm is a Post Graduate Advice Event being held at UCLAN’S Student Union, The Atrium at Preston Campus. This is an opportunity to get expert advice on advanced learning and to discuss your options with the highly trained team. There are four main types of postgraduate degrees: taught courses, research degrees, conversion courses and professional qualifications. Many postgraduate courses are studied at university, but some courses are taught in a commercial environment. If your considering a post graduate course then please attend this event. You will meet like minded people who wish to further their employment and financial security. You may meet lecturers and experienced students who have took on a similar programme. This is your future take it with confidence and assurance of your ability and skills. University of Central Lancashire, The Atrium, Students Union, Preston Campus.